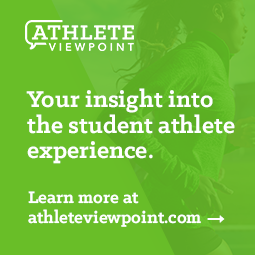 As schools move closer to the end of the academic year, significantly bad news continues to come from the challenging athletic budget environment. UMass will become the second school in the Northeast to drop their baseball program, following an earlier announcement by the University of Vermont. thecollegebaseballblog.com was among the first to report this possibility based on information from multiple sources. Minnesota-Crookston - The NCAA Division II institution has decided to drop their ice hockey program in the face of budget issues, even though they had broken ground on a $14.5 million arena to house the sport. College of Marin - The alma mater of USC head football coach Pete Carrol is dropping their football program. Colorado College - Dropping football, softball and water polo. Colorado College is a largely Division III institution, but does sponsor Division I Men's Ice Hockey. Florida International - Athletic Director Pete Garcia has announced that the department will have to cut more than $1 million from the budget. The cuts will include significant layoffs. More details to follow as they become available. LSU - Chancellor Mike Martin is considering "taxing athletics" to help close a possible $50 million institutional budget gap. Utah State - Students passed a referendum by about 300 votes among 4500 cast calling for a $130 annual increase in athletic fees. The increase is in response to inadequate funding for the institution since it joined the Western Athletic Conference (WAC). Student opinion was mixed with a Facebook group being started in opposition to the increase. Colorado State - Increasing their student athletic fee by nearly 20% (an additional $15 per term). In addition, the New York Times has an extensive article about the impact the economic environment is having on professional sports from the perspective of professional leagues, media and corporate sponsors. It is a sobering but important read because of the depth of information.